My Skin Origins Zumba Party! I’ve been out of my dashboard lately. I have to attend to some real life hullabaloo or I won’t be having moolah to keep this blog running. But that’s how I think life should be lived, I just have to deal with it. But I have exciting news for you. 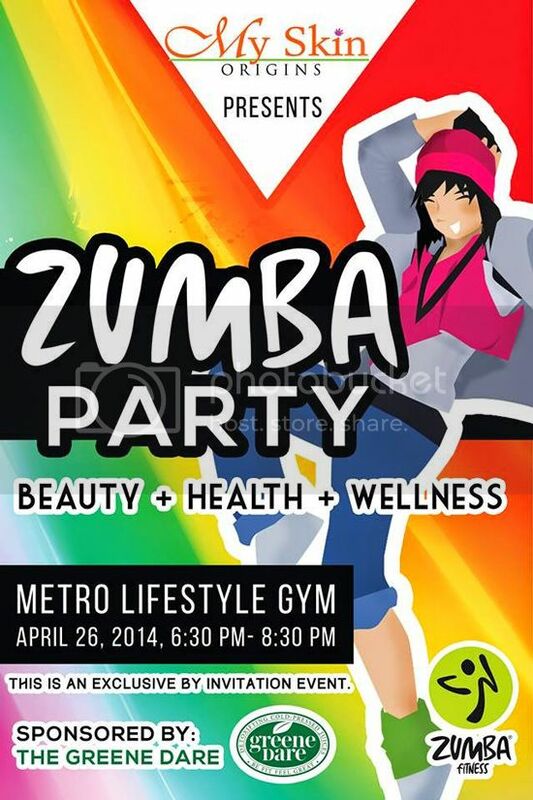 My Skin Origins, a revolutionary skin care organic brand will celebrate beauty, health and wellness with My Skin Origins Zumba Party on April 26, 2014, 6:30 to 8:30 PM at Metro Lifestyle Gym in Torres St. here in Davao City. This is an exclusive event though and only those who have invitation can attend. But there’s always a way not to miss this healthy fun. 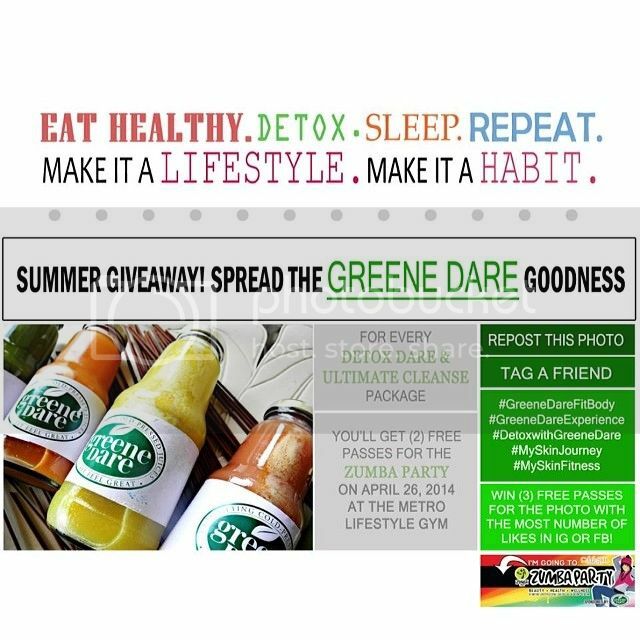 My Skin Origins has partnered with The Greene Dare, another brand that sells health and wellnesss in a bottle and offer you very easy way to get to the party.